New year, new price. Large one bed, one bath unit with east facing views. Very light and bright with modern touches. Great neighborhood location and bus stop right out front of the building. Great storage with 2 closets in the entry hall, one near the bedroom/bathroom and don't forget to check out the closet behind the bathroom door! Also a storage unit in the basement. Free laundry on-site with lots of machines and a great fitness facility. HOA even covers electric and gas! There is monthly parking at 12th and Grant, just not sure of the cost. 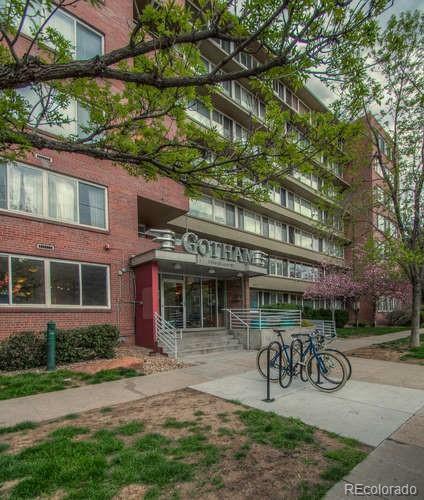 Unit would also make a great rental, was rented for $1350 but recent studio in the building is renting for that so $1400 per month is not out of the question. Owner/Seller is a licensed real estate broker in Colorado. IF UNIT NOT UNDER CONTRACT BY February 13, 2019 WILL BE PULLED FOR RENTAL.